The Weeklings just released their first e-anthology, Revolution #1: Selected Essays 2012-2013. Edited by Jennifer Kabat, Sean Beaudoin, Janet Steen, and Greg Olear, this anthology features the work of some terrific writers, Robin Antalek, Lauren Cerand, Samuel Sattin, and Jess Walter, just to name a few. I’ve got a piece in there, too. Best thing is that it’s only $4.99, and the good people at The Weeklings believe in paying their writers, so all money goes directly to the authors. Read more about why you should buy The Weeklings Revolution #1 here. Remember the mountain lion that walked from South Dakota to Milford, Connecticut? Read Lion Fever in Connecticut. 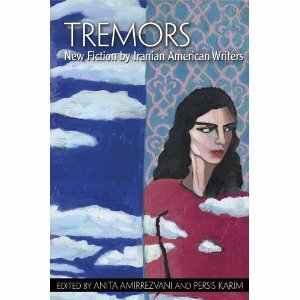 Honored to have a story in this gorgeous anthology out February 1st, edited by Persis Karim and Anita Amirrezvani. I can’t think of a better way to spend a week than hiking Montana’s Rattlesnake National Recreation Area just outside of Missoula. I wrote about it for the Escapist Traveller here.